Oliver Sweeney’s new store is located in Spinningfields, central Manchester, off the main high end retail street, Deansgate. 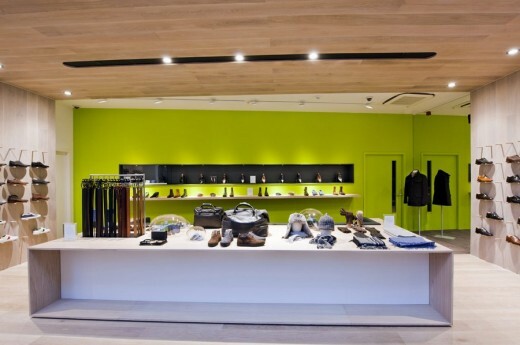 The ground floor 53sqm store debuts a new store design for the luxury shoe brand, which is being rolled out across its store portfolio. 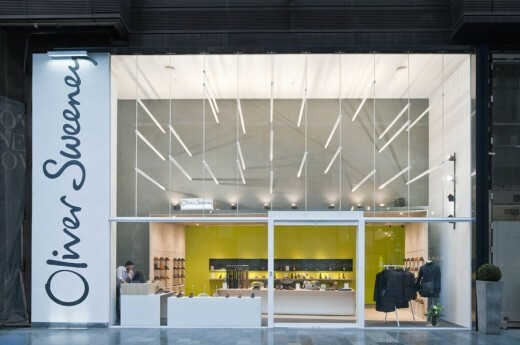 The glazed façade is mullion free in order to achieve views deep into the store interior. The façade is the first of its kind. 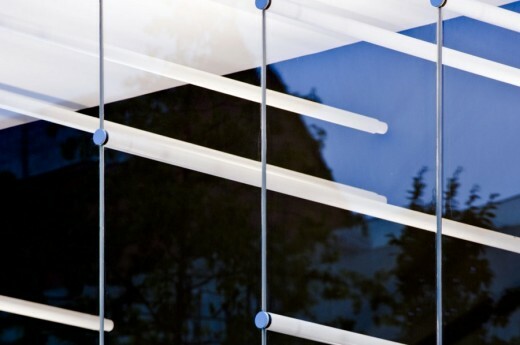 Horizontal steel rods act as wind bracing between the glazing and the building superstructure. A wind analysis, specific to the facade location, was undertaken based on a 1 in 50 year wind load of 1.50kN/m2. This indicated that the horizontal deflection of the steel system will not exceed 10.8mm. Inside, an independent geometrical timber box forms the main sales area. 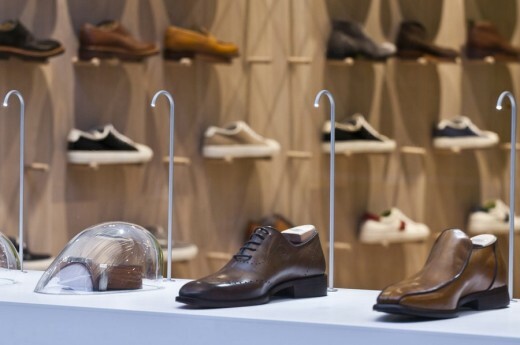 An oak and rubber peg system is used to display shoes. A central monolithic wooden element displays product and provides customer seating. Shoes and accessories are displayed under bespoke glass blown domes. The scheme was shortlisted in Architect Journal’s Small Project Award.